Aloha, e komo mai and welcome to Hawaiian Feathers! Throughout my years I was able to teach myself the art of feather lei making through a book called Feather Lei As An Art (the only book of it's type), written by Auntie Mary Louise Kekuewa and Paulette Kahalepuna. 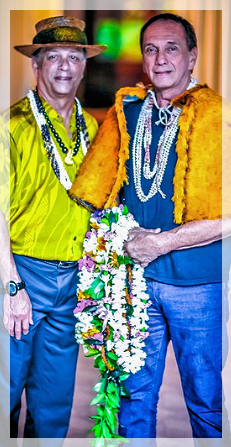 Through their dedication, knowledge and their book, I was able to position myself to help perpetuate the art of feather lei making for generations to come. My learning from Feather Lei As An Art started in 1999, and all of my progress has come from research, studying photos, listening to stories told to me by Kupuna that visit my booth at the Merrie Monarch each year, and trusting God and my sense of creativity. 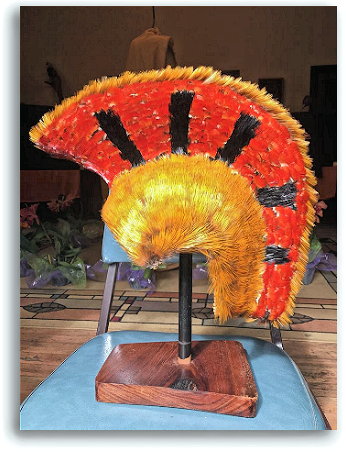 I have since completed 2 full size and traditionally made mahiole (Gallery Collection link), and my first attempt of making a feather cape ('ahuli'i or 'ahu'ula, all natural red and gold feathers), also made in the traditional way of our Ancestors. I will keep all of you updated with the latest news and finished products. Please feel free to take a look around my website and explore the wonders of the Art of Hawaiian Featherwork. Also, my store will be shut down temporariliy and should be up and running soon. Please if you need anything, do not hesitate to contact me via my contact page or by calling me. Mahalo! 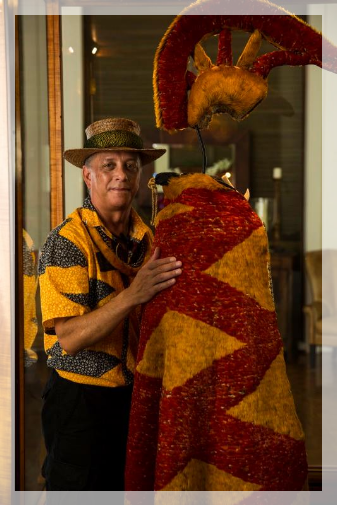 Master Series of Advanced Hawaiian Featherwork, hosted by Rick San Nicolas of Hawaiian Feathers. This is a three day workshop (Friday, 2pm - 7pm, Saturday & Sunday 10am - 5pm) and will be the first in a series of workshops beginning in Hilo, HI with other workshops developing now on O'ahu, Mau'i, and Kaua'i. Please inquire if you are interested in any of these locations. These workshops will be based on methods that I have developed over the years and have decided that now is the time to teach. This will be a series of workshops which will be in three phases. Phase 1: 'Ahu'ula This phase will be methods I have developed on the preparation and creation of the 'ahu'ula (Hawaiian feather cape). These methods will be taught in many different projects to better understand the composition of a feathered cape. Phase 2: Mahiole This phase will be methods I have developed on the feathering of the mahiole (or Hawaiian feathered helmet). There will be a series of projects on these methods I have developed on the completion of a mahiole. Also, there will be a workshop offered during this phase on the actual making/building of the mahiole (basketry, weaving of the helmet) which will be taught by Lloyd Kumula'au Sing who I feel is the leader in his craft. Phase 3: Hawaiian Kahili This phase will be methods on the preparation and building of a traditional Hawaiian kahili. This class will teach the making of kahili using all natural materials to complete. This workshop will be taught with many projects to better understand the building of the kahili. COST: $350.00 per student will cover teaching and materials for each workshop. 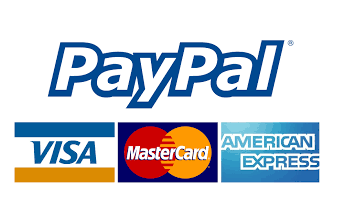 Payment can be made in advance with PayPal by clicking on the "Add to Cart" button below OR by check, money order, or the day of first class by cash or charge. Please contact me if interested on FB under Rick San Nicolas, ricks@hawaiianfeathers.com, or you can private message me on my FB page for phone number if you wish to call. I will send an information form to you to fill out before the workshop begins just to get some information from you to connect. For the islands of O'ahu, Mau'i, Kaua'i, and other areas on Hawai'i not in Hilo area you can contact me with interest or add to my coming workshops in your area. PLEASE SHARE IF YOU WISH WITH YOUR FRIENDS! 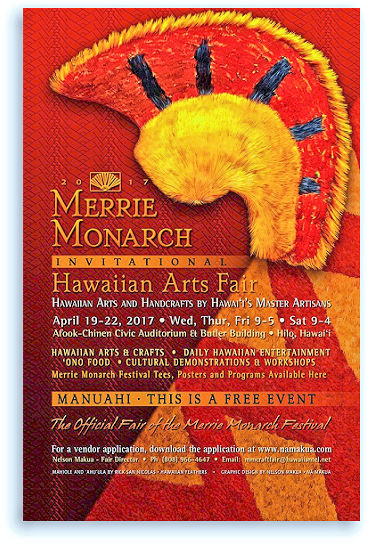 Hawaiian Feathers 'Ahu'ula & Mahiole featured on the 2017 Merrie Monarch Official Craft Fair Poster! I'm honored to be featured in this coming Merrie Monarch 2017 Official Craft Fair Poster! Mahalo to Nelson Makua for this opportunity to feature my art. "Acquire skill and make it deep"
"A man who calls birds should always be alert"
"No task is too big when done together"
© 2016-2017 Hawaiian Feathers & mauirepublic ®™ All Rights Reserved.